Shear Delight is getting an updated makeover. 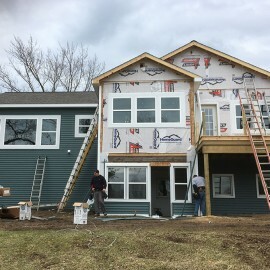 Follow our progress, as we work to complete the next phase in the remodeling of A Room At The Inn – an adult foster home. 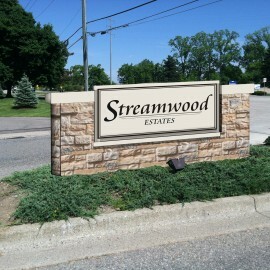 One of our current projects this summer is this new sign for Streamwood Estates. See our progress as we install an egress window in this basement. 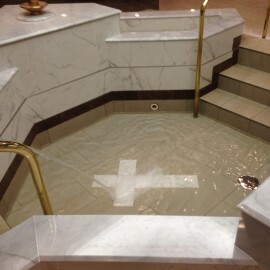 At St. Lawrence we imagined an updated look for the baptismal font. See this recent sign project from beginning to end. One of our most recent projects included this beautiful gazebo at the end of a paved walkway. 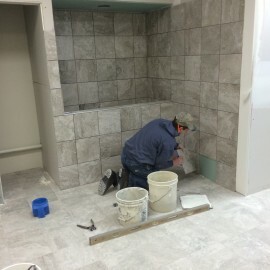 Click here to see more building projects by Black Forest.